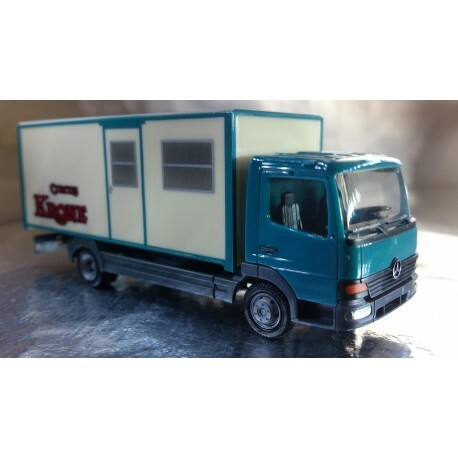 > Museum>* Herpa Trucks 156752 Mercedes-Benz box truck "Circus Krone"
* Herpa Trucks 156752 Mercedes-Benz box truck "Circus Krone"
Herpa Trucks 156752 Mercedes-Benz box truck "Circus Krone"
Sequel to the circus Krone edition: This MB Atego box truck is assigned to the circus Krone tent master who converted it into a caravan. 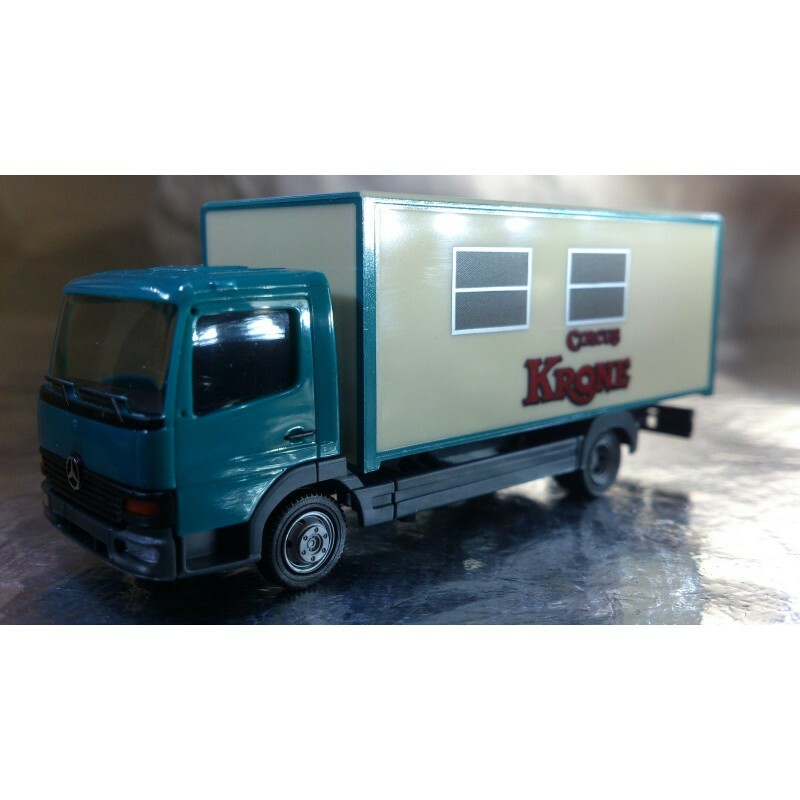 The miniature vehicle will be released as a one-time edition. 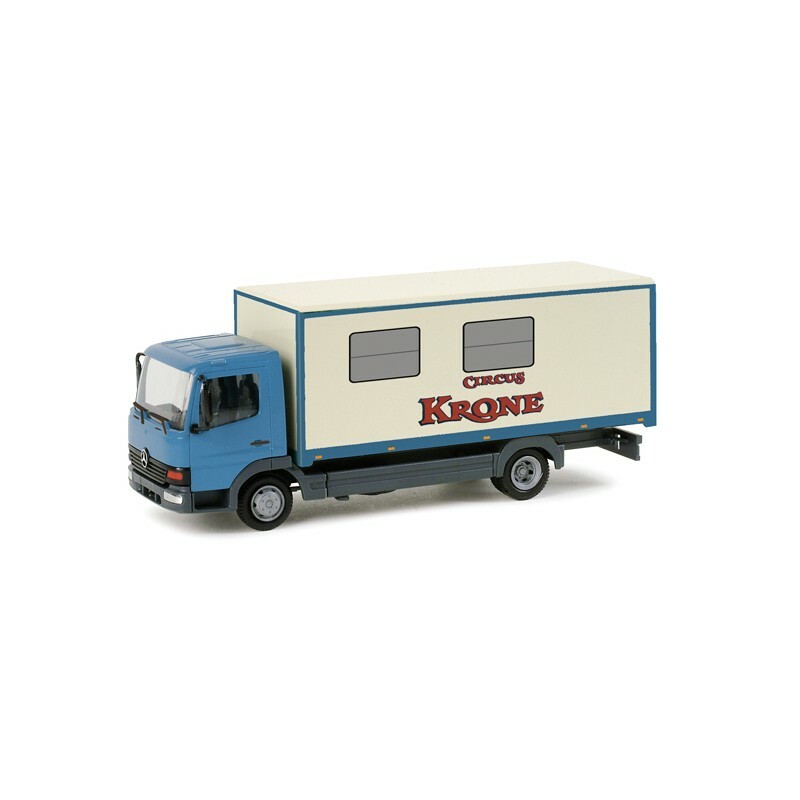 Path: Home > Museum > * Herpa Trucks 156752 Mercedes-Benz box truck "Circus Krone"